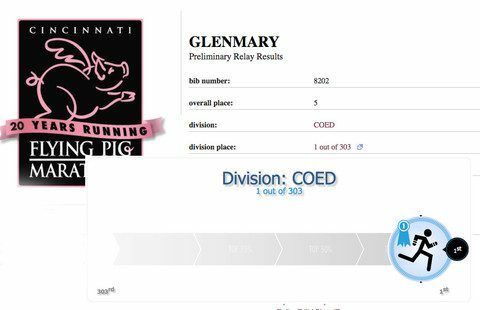 CINCINNATI — Four runners affiliated with Glenmary Home Missioners joined forces Sunday to win the City Dash 4-Person open relay event (co-ed division) at the Flying Pig Marathon in Cincinnati, Ohio, raising awareness and funds for Glenmary’s vocation efforts in the process. Creative development ideas, including a Facebook fundraiser and a special dinner, brought in more than $3,000 for Glenmary’s effort to seek men called to missionary priesthood and brotherhood. 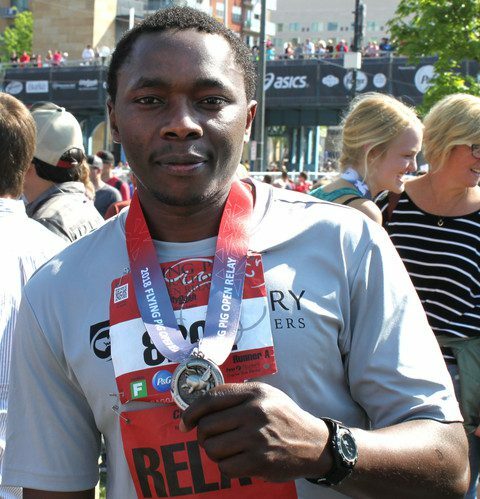 Josiah Kimani, Antonio Marchi, Rachel Thome and Wilmar Zabala completed the 26.2 mile course in 3:06:29, coming in first of 303 teams in their division. Josiah and Antonio are Glenmary men in formation, both preparing for to be Glenmary brothers. Rachel works in Glenmary’s mission education and ministry office and Wilmar is Glenmary’s vocations counselor. 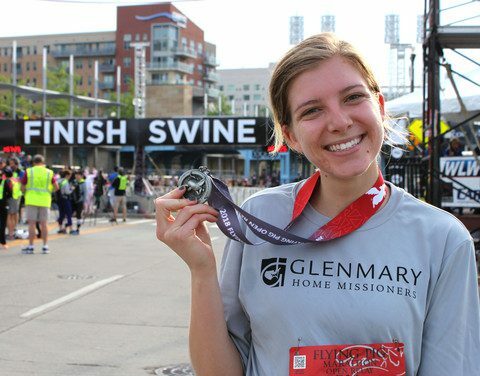 Many organizations use the Flying Pig as a fundraiser and awareness tool. Now in its 20thyear, the event has grown to a multi-day affair with nearly 40,000 participants. 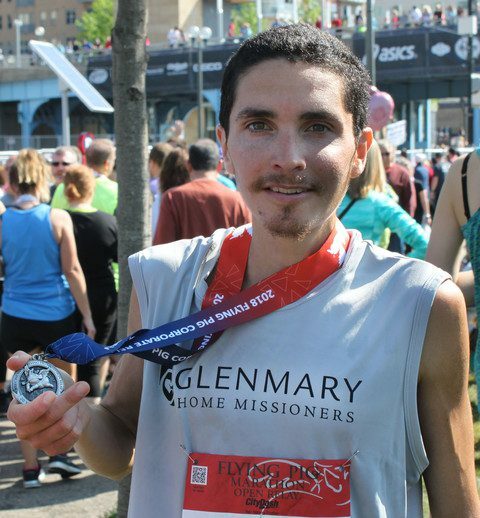 Glenmary graphic designer Cassie Magnotta designed special shirts for Team Glenmary to wear while running and planned the dinner event the night before the race, which included Mass at Our Lady of the Fields chapel. 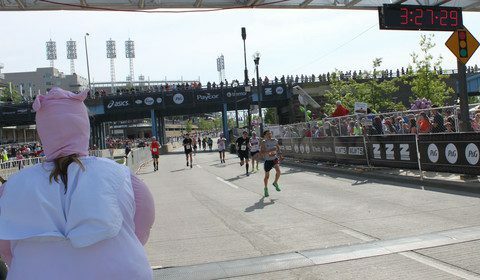 The runners did the rest. Before Glenmary, we were driving an hour-and-a-half to church. - Ken B., St. Teresa of Kolkata, Union County, Tenn. Taking a trip to the missions taught me that I can’t take my faith and the ability to practice that faith for granted. - Rita M., Glenmary supporter. 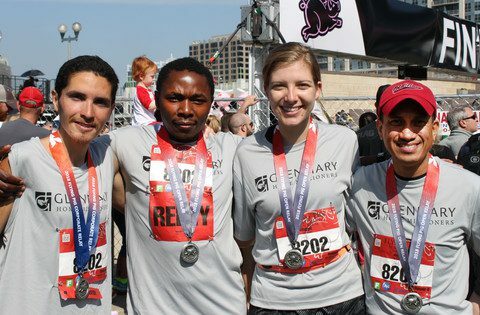 The amazing thing about being a Glenmary volunteer is that the Glenmary spirit of ecumenism and charity is everywhere. - Alyson M., mountain manager at Toppa Joppa, Grainger County, Tenn. 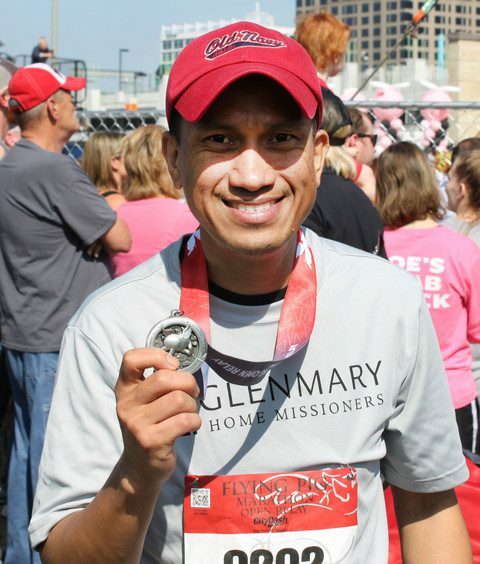 Becoming a Glenmarian fulfilled my heart’s desire to be with the people who are marginalized.